On 14th of February 2018 Quantum-Systems GmbH in cooperation with bavAIRia e.V. 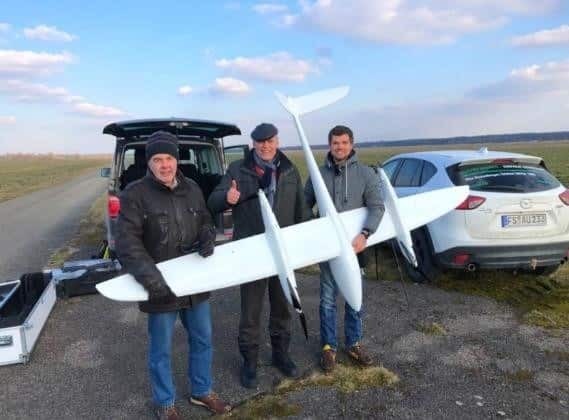 carried out the first test flight beyond visual line of sight (BVLOS) approved by the Luftamt Süd and without a restricted flight area on the property of the German Air Force Technical Center for Aircraft (WTD 61) in Manching! We flew with the VTOL drone Tron, with a wingspan of 3.5m and a take-off weight of 13kg. The simple operation and execution by only one person surprised in comparison to much more complicated military drone systems that otherwise fly here. 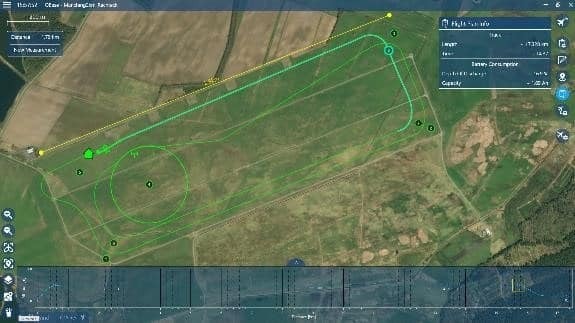 The 20m/s fast drone (72km/h) flew through the 2km long test track fully automatically several times, proving its reliable function including all data connections and emergency functions. According to the current status no civilian drone is allowed to fly except the visibility range of 500m. 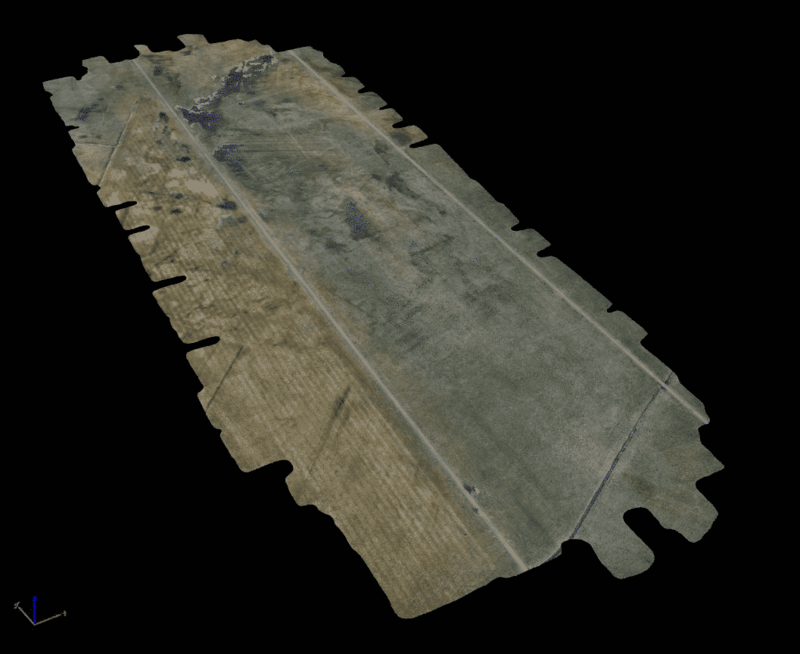 However, making this possible is regarded as the holy grail that will only open up many drone applications for the future. For example, inspection of pipeline routes, pipelines, railway routes or other traffic. In order to approve the present BVLOS flight, a great deal of preparatory work had to be done by a wide variety of agencies. All safety-critical scenarios had to be analyzed in detail and automatic or manual measures derived from them. What happens in the event of a radio failure when the airspace is suddenly needed by a rescue helicopter, etc.? The process chains and communication structures, e.g. between tower and pilot, were described in an operating agreement, so that in an emergency the airspace can be quickly cleared or even an emergency crash can be initiated.